If you have a specific need in your kitchen, it’s likely that you’ll find the perfect solution in the Lincat range of kitchen products. The series is designed to be built for purpose and improve the smooth functioning of any kitchen. Ideally suited for pubs, fast food outlets, restaurants, bakeries and hotels. Ideally suited for: Ideally suited for pubs, cafe bars and event catering. Simply plug in and play and start cooking incredible dishes immediately with the Lynx 400 range. The compact, portable electric models are built in the UK to the highest quality and are equally as useful for cafes and bars as they are for catering and events. Ideally suited for pubs, cafe bars and event catering. 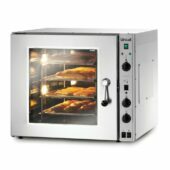 Convection ovens are perfect for roasts, pizzas, pies and bakery products. 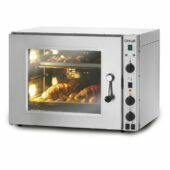 From Lynx plug and play through to our specialist convection ovens, we have a convection oven to suit your requirements. 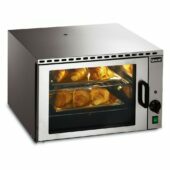 The LYNX LCO is ideal for pubs, leisure clubs and cafes, wishing to offer hot food where kitchen space is limited. Enabling you to offer hot pies, pastries, pizzas and the like. Both the ECO8 and ECO9 units feature an excellent twin fan air circulation system, which delivers a highly efficient air circulation ensuring consistent and even cooking and faster cooking times. The ECO8 has been designed to meet the needs of even the most demanding professional kitchen, and it's great for all roasts, pizzas, pies, and bakery products. For bigger kitchens the larger and more powerful ECO9 is perfectly suited to baking off chilled or frozen convenience bakery products.